The water treatment system must be connected to the drinking water supply system by means of a backflow preventer conforming to DIN EN 1717. The outlet of the reverse osmosis system must be equipped with a backflow preventer conforming to DIN EN 1717 to ensure that dirty water from the dishwasher does not enter the treatment system. From water hardness grade 2 (medium), we recommend installing an upstream water softening system to prevent blockage of the membrane. 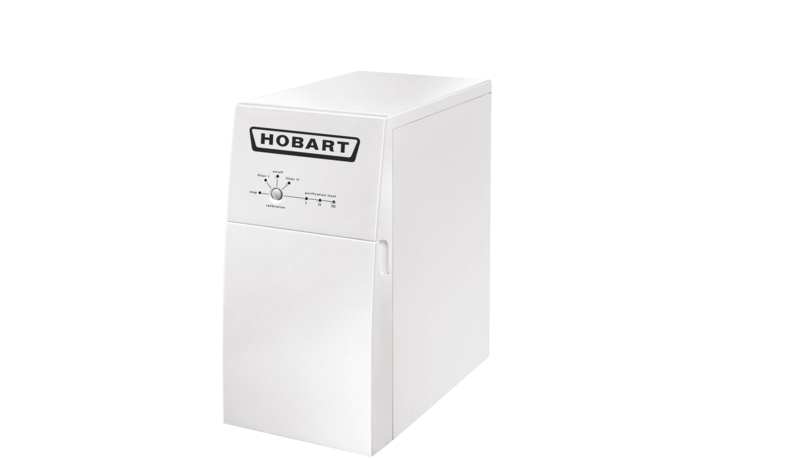 Hard water reduces the permeate output rate and shortens the service life of the reverse osmosis system. For higher capacities and continuous washing please use a buffer tank.